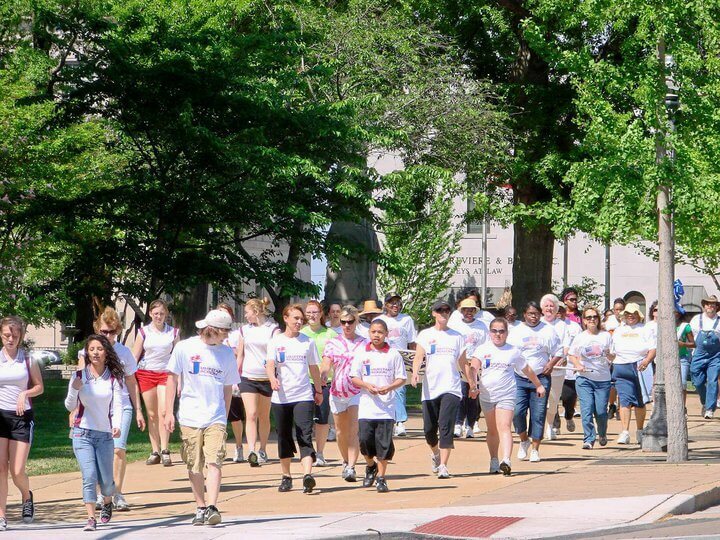 In an effort to combat obesity and promote community health and wellness, the City of Jackson and Jackson- Madison County School System will sponsor the 10th Annual Community Wellness Walk on April 27, 2019 at the Carl Perkins Civic Center. Bring your walking shoes, the family and even your dog to take part! Free t-shirts will be given to the first 1,000 attendees and registration begins at 9:00 am and the walk begins at 10:00 am. Beginning in 2007, the City of Jackson and Jackson-Madison County Schools partnered together to create Jumpstart Jackson. The collaboration was recognized by the National League of Cities and the American Association of School Administrators. Over the years, thousands of adults, schoolchildren and their parents participated in the Wellness Walk. While eliminating childhood obesity is the primary focus, this event is a community-wide event to encourage healthy lifestyles for all citizens of Jackson-Madison County. “A true health champion for Jackson, Mayor Jerry Gist will be recognized for his efforts. The huge task of developing community wellness programs with a concentration on children has been his focus. Under his leadership, the Downtown Farmer’s Market has significantly grown, food desert areas have decreased, walking trails and parks have improved,” according to Annette Wilson of the Jackson Madison County School System.